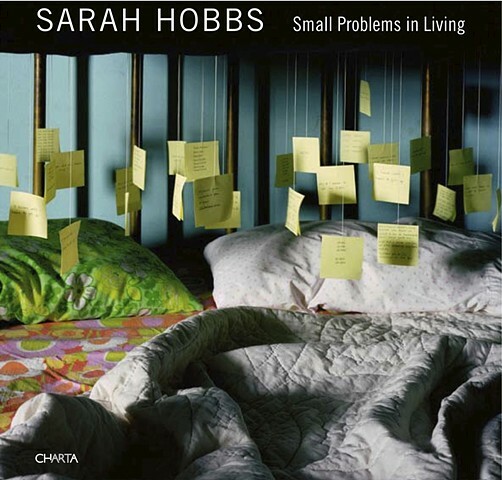 This is a superbly illustrated overview of the work of contemporary artist/photographer Sarah Hobbs. The photographs collected here are the product of an ongoing exploration into our neurotic tendencies. Hobbs’s work explores phobias and obsessive-compulsive disorders and how we attempt to deal with them. Set in domestic spaces, the images illustrate the idea that even the most comfortable spaces can house our uneasiness. A compilation of three series, the book allows the viewer to see the work as a whole in order to gain a full understanding of Hobbs' intent to explore the human psyche and relish the idea that we are all beautifully flawed. A signed copy of the book can be purchased directly from Sarah. Click on the price, which includes $5 shipping, and it will take you to paypal.